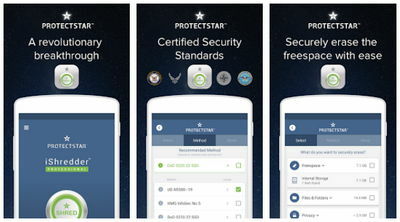 Securely delete any data on your Android with iShredder™ 5 Military Edition. This app is designed using certified secure deletion algorithms to erase what you want without the risk of someone getting back your information. Securely delete all data, files, folders, photos, sms (text messages), call logs, WhatsApp data, cache, contacts and more. 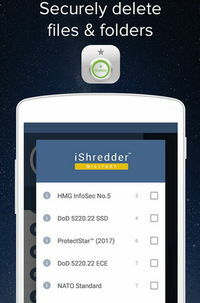 If you've been looking for the most effective data shredder (eraser) app , then you're in luck. iShredder 5.2.8 renders any data irrecoverable so no one can ever get it back and use it maliciously.